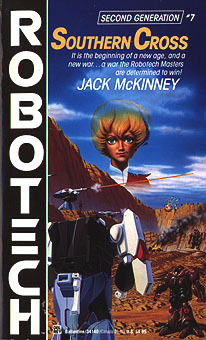 ROBOTECH: THE MCKINNEY PROJECT: AND DON'T CALL HER CUTE! 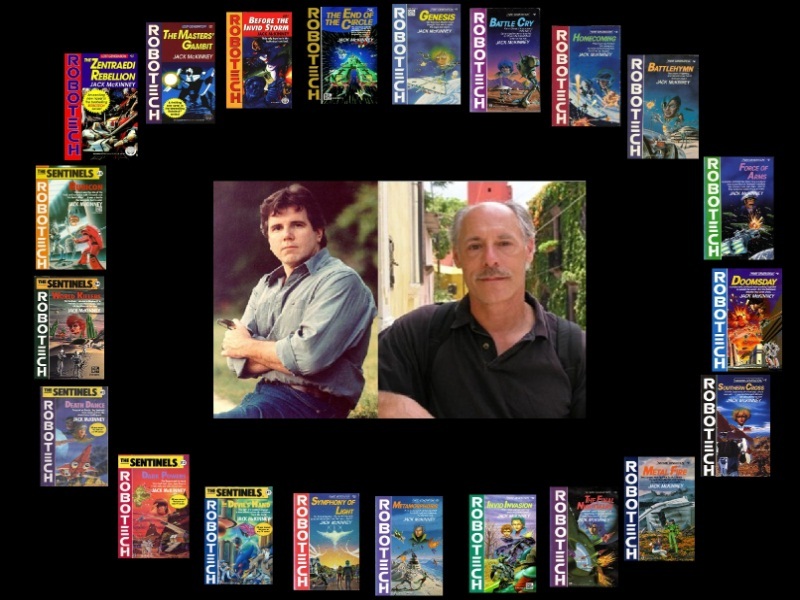 As part of the graduating class of the Southern Cross Military, Dana Sterling became a member of the new generation sworn to defend the battle ravaged Earth. Dana is not your typical cadet. She wants to be treated equally, yet can't seem to fight the urge to stand out among the crowd. "The aide frowned at a computer printout. Then he glanced down his nose at Dana, looking her over disapprovingly. "Congratulations. You go to the Fifteenth squad, Alpha Tactical Armored Corps," he said with a sniff. Dana had learned how to hide emotions and reactions at the academy; she was an old hand at it. So she didn't squeal with delight or throw her diploma into the air in exultation. She was in a daze as she filed back to her seat, her squad following behind. The ATACs! The 15th squad! Hovertanks! Let others try for the soft, safe, rear-echelon jobs, or the glamorous fighter outfits; nowadays the armored units were the cutting edge of Robotechnology, and the teeth and claws of the United Earth Government's military-the Army of the Southern Cross. Dana figured that was right up her alley. She would have been graduating at the top of her class, with marks and honors succeeding generations would have found hard to beat, if not for certain peccadillos, disciplinary lapses, and scrapes with the MPs. She knew most of it wasn't really her fault, though. The way some people saw it, she had entered the Academy with several strikes against her, and she had had to fight against that the whole way. Cadets who called her "halfbreed" usually found themselves flat on their faces, bleeding, with Dana kneeling on them. Instructors or cadre who treated her like just one more trainee found that they had a bright if impulsive pupil; those who gave any hint of contempt for her parentage found that their rank and station were no protection. Cadet officers awakened to find themselves hoisted from flagpoles...a cadre sergeant's quarters were mysteriously walled in, sealing him inside....The debutante cotillion of the daughter of a certain colonel was enlivened by a visit from a dozen or so chimps, baboons, and orangutans from the academy's Primate Research Center...and so on. Dana reckoned she would fit into the 15th just fine." Which of her parent's characteristics are more dominant? Let's say all AND none at the same time. Her first and only assignment as a soldier to the 15th ATACS seems to be destined. The Shapings of the Protoculture balancing act at work.